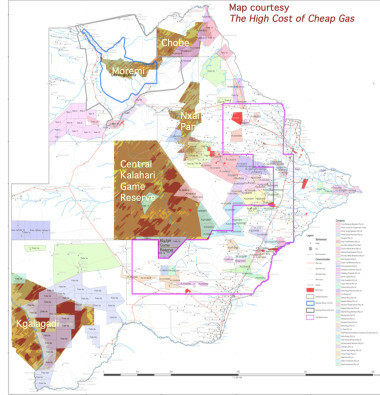 Botswana’s Wild Lands, where gas licenses have already been issued. 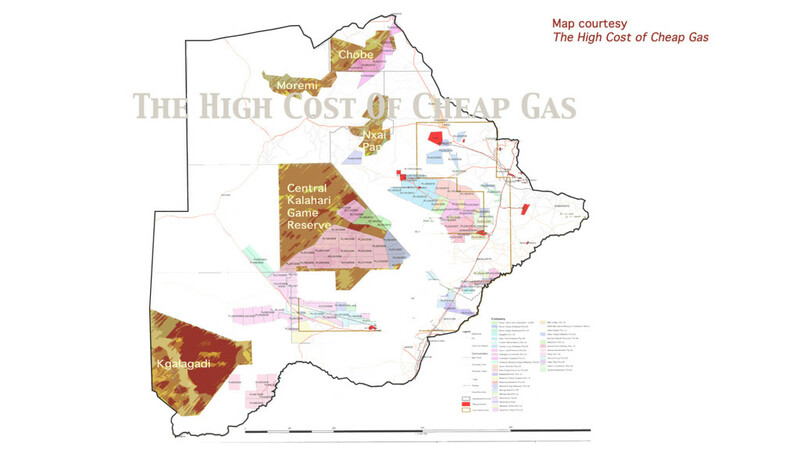 The “new” map, put out by the Botswana government after The High Cost Of Cheap Gas broke this story. We do not have independent confirmation that the gas prospecting licenses in the center of the Central Kalahari Game Reserve have been cancelled. Environmentalists have voiced serious concern about this map too, because of the huge number of licenses in the Kgalagadi Transfrontier park, in the lower left of the map. This “peace” park initiative supposedly protects this vast park that sits astride the borders of South Africa and Botswana and is communally administered. It also appears that Khutse, a world-renown Safari area, now has the whole park under drilling licenses. 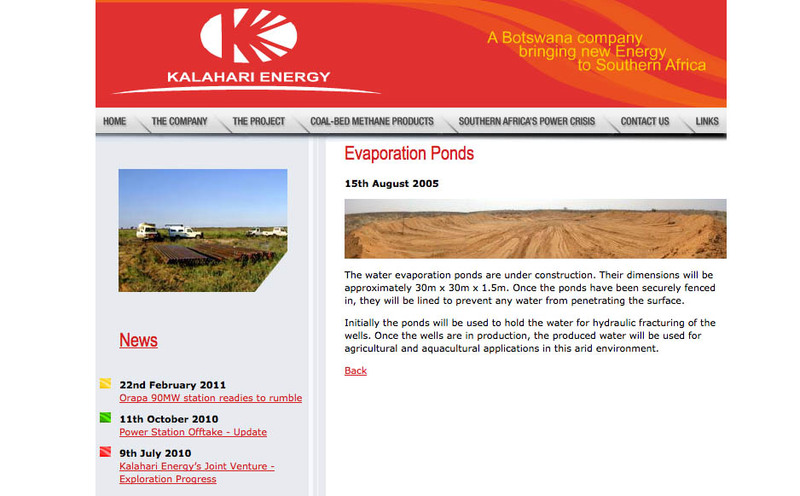 This is a screen-grab from Kalahari Energy’s Website which shows that indeed the company is hydraulic fracturing (fracking) in Botswana, and has been since at least 2005. This is directly contradicting the government’s original statement that there is no fracking happening in the country. DOWNLOAD The proof of fracking in Botswana we used for this report. -Please credit High Cost of Cheap Gas if used. This entry was posted in Environment and tagged Botswana, Natural Gas.